What Price a Sporting Life? On Wednesday I read news reports of the death of 33 year old Irish motorcyclist Alan Bonner in this year’s Isle of Man TT. I had never heard of Alan previously. It seems he was a very popular man engaged to be married and so about to begin a new chapter in his young life. When I learnt that he was the third rider to die so far in this year’s event it sparked a curiosity and a little further research. I knew that the race held every May and June on the island was notoriously dangerous. I didn’t realise just quite how certainly deadly it and the subsequent Isle of Man Grand Prix held in August and September are. Since 1907, 240 people, riders, spectators and officials have been killed. In the last ten years on average slightly more than three people have been killed each year. Some years are worse than others; in 2005 nine riders died during the two races, one of them another Irishman John Burke. In total six Irish riders from south of the border have died over the years. Ireland ranks 10th in nations providing fatalities. England ranks a lonely first with fully 116 deaths so far. I know little about motorcycling. But I understand that there must be a deep-seated attraction to participating in the sport to draw men to risk serious injury and death. My wife is a doctor and a surgeon who spent two years working in orthopedics in one of Ireland’s largest hospitals. She can’t count the number of motorcyclists who arrived to her from A&E with severe and often life threatening injuries. She certainly couldn’t count the number that were beyond help by the time they arrived in hospital. So young men (and young women) will take unnecessary risks that older people tend not to. It is the nature of things and there is little we can do about that. We try to legislate to protect people from themselves. We try to impose speed limits on our roads but they are frequently ignored. Young men in their late teens and 20s make up a significant portion of the number of total fatalities on Irish roads every year. It’s one thing to have young men risk their lives (and those of others) on their own time in breach of the rules. But surely it’s another thing entirely to have them do so as part of an organised sporting event for the thrill of the masses? I wondered why any sport’s governing body would allow such an event to take place. But I understand that it is not sanctioned by motorcycling’s governing body. Instead it is ultimately run by the government of the Isle of Man. According to the Isle of Man’s Economics Department the two races each year draw about 40,000 people to the island and annual revenues in the last decade range from £18 million to a record breaking £48 million in the event’s centenary year in 2007. That year just one man, Marc Ramsbotham from England died. The profit to the island after costs are deducted from revenue is about £2.6 million. On one view then so far this year the price of a man’s life is about £860,000. Of course, if as is statistically likely more men will die this year, then the price will fall. Marc Ramsbotham’s life was worth about £5 million in 2007. 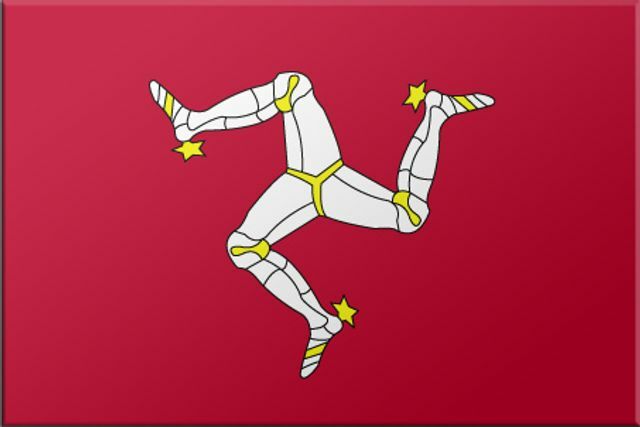 So, it’s big business for the Isle of Man. I can’t help wonder if the sums of money involved help the organisers (and the participants and spectators) to ignore the carnage and trot out the line that the riders know and accept the risks. The drivers know and accept the risks in Formula One too. But deaths are rare these days. But they weren’t always rare. The 1960s and 1970s were a particularly appalling period in Formula One motor racing. Deaths were common occurring during almost every race. Jackie was branded a coward by the sorts of journalists who would say such things safe behind their desk. He was scoffed at for duct taping a spanner to his steering wheel to give him the semblance of hope that he might escape his own inferno. But brave Jackie persisted and the number of deaths in Formula One motor racing reduced dramatically over the following years. It too is a sport where drivers accept that there is a risk. But they took action to mitigate those risks. Whether the Isle of Man government takes similar action to mitigate the risks is unclear. But certainly, given the three deaths so for this year and four deaths last year, it seems more could be done. Some former riders have called for the race to be banned. But their voices don’t have the weight of a campionissimo like Jackie Stewart in Formula One. And so it has to be that the authorities take action to save men's lives. The only question then is, is the price too high? Alan Bonner, 33, died at an Isle of Man TT Races qualifying session yesterday afternoon after crashing at the 33rd Milestone on the Mountain section.